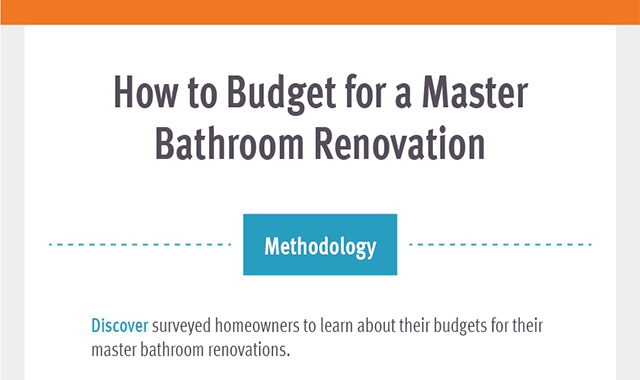 How to Budget for a Master Bathroom Renovation #infographic ~ Visualistan '+g+"
Redoing your master bathroom can be a great way to invest in and increase the enjoyment of your home. It can even be a fun project to work on or an engaging transformation to watch. Less fun, but just as important, is finding the money for a renovation. To help you budget for your next master bathroom renovation, Discover Personal Loans surveyed homeowners about their recent projects.